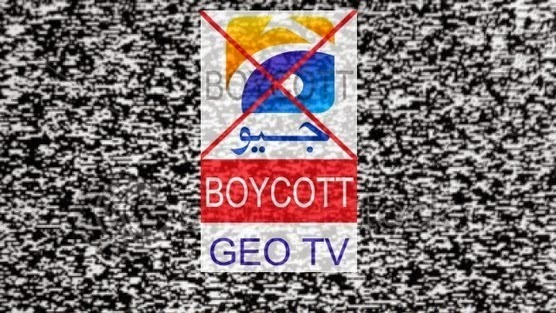 Jang Group's channel Geo TV is banned in many cities of Pakistan including Lahore due to public demand. After a huge social media campaign, it seems like PEMRA took action and stopped Geo TV transmission in major cities of Pakistan. People are very happy on this news because Geo was portraying bad image of Pakistan worldwide. Many Pakistanis are in the impression that that Geo is Anti-Islamic, Anti-Pakistani and Anti-Pakistan Army channel. Geo is supported by India, Israel and America and shows Katrina Kaif's & Deepika's birthday as breaking news. Pakistani people do not want to see all this crap and that's why they demanded to ban Geo TV permanently in the whole country. Geo TV is working as an agent in Pakistan to divide the nation and make them feel insecure about their own country's armed forces, ISI and Pakistan Army. They are continuously blaming ISI for the attack on Hamid Mir without any solid proof, just to destroy ISI's image in the world. We as Patriotic Pakistanis request you NOT to watch Geo Network's channels. Avoid purchasing anything related to Jang Group including their Newspapers, Magazines and Books. Geo TV seems to be changing the basic concepts of young Pakistanis by spreading slogans like "Perhany Likhnay Ke Siwa, Pakistan Ka Matlab Kya". We want to stick to our roots & religion and we as a Nation are proud of our country's base which is "Pakistan Ka Matlab Kya? La Illah Ila Allah." It seems as if Geo Network is making things really hard for itself by stepping on so many toes at the same time. If it does not rectify its ways, it might soon find itself in very hot water and possibly with no way out. If Geo Network wants to have a decent reputation again, it will have to gain back the trust of the Pakistani people.